By Wesley Fenlon on April 20, 2012 at 11:49 a.m.
One: Order something really, really big in the mail. 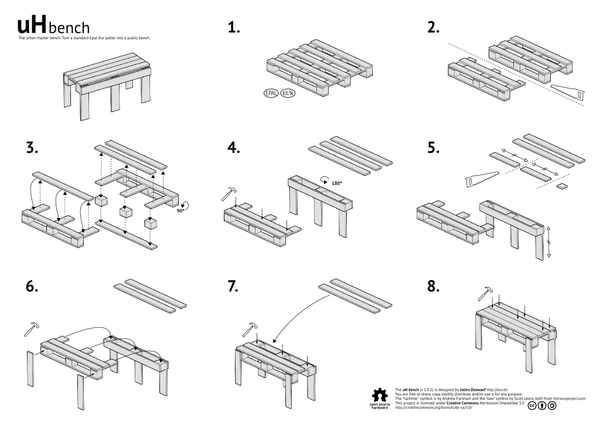 Two: Build a bench for free! Step one in thinking outside the box: carve the box up with a saw and turn it into something else. 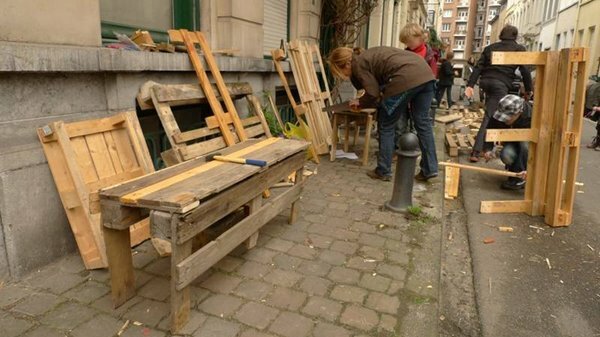 Designer/programmer Julien Deswaef of Belgium recently posted a cool project on his site called the urban Hacker Bench that puts leftover shipping pallets to work. Standard Epal-Eur pallets are common leftovers in industry. Why leave them sitting around when they can be put to work? Deswaef organized a public benchmaking day on April 15 and saw his design spring to life in the form of a dozen benches. Some were even decorated with pyrography, the art of drawing in wood with burn marks. The designer built his first urban Hacker Bench two years ago, but every bench be placed in front of his house eventually vanished. 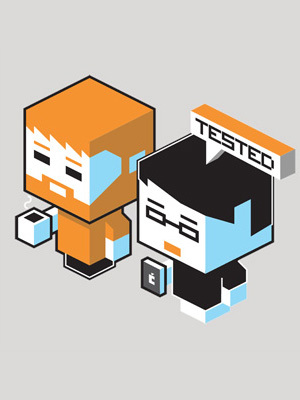 That's a compliment for the design, depending on how you look at it. The uHB design requires nothing but a saw, a hammer and some nails. Try it out, if you happen to own a shipping pallet.